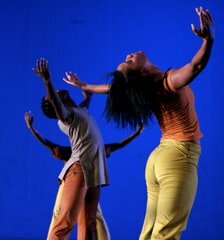 In 2003 Georgina Thomson was invited to attend Montpellier Dance Festival in France. 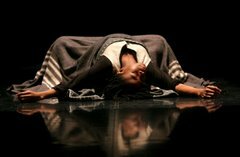 During this festival a young residency programme was held there and on her return Georgina decided to start one here in South Africa. The residency programme was born in 2003. This year we have received financial assistance from the National Arts Council. and the National Lotteries Distribution Trust Fund to make the programme a success. The aim of the residency is to discover new ways of creating work, to shift and develop up and coming choreographers by giving them skills and artistic ideas on creating new works. This platform will serve as a network for artists to get to know each other, experiment new styles of dance and talk about the improvement of the arts particularly dance. Professor Gary Gordon from Eastern Cape Town and Alfred Hinkel from Cape Town are the main facilitators who will be conducting the residency programme. Teachers who will take part are Constance Kau-Mcunu, David April, Gregory Maqoma and Sifiso E. Kweyama. The residency workshops will take place at the Melville Kruisgemeente Hall from the 27th of February to the 11th of March 2007. Most of the participants are based in Johannesburg however Jonas Byaruhanga is from Uganda, Mcebisi Bhayi from Eastern Cape and Sifiso Majola from Durban. 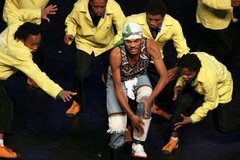 Our participants have attended established schools and institutions like Phenduka Dance Theatre, Moving into Dance and Sibikwa Arts Centre.